Fabulously updated Lake St. Louis home! 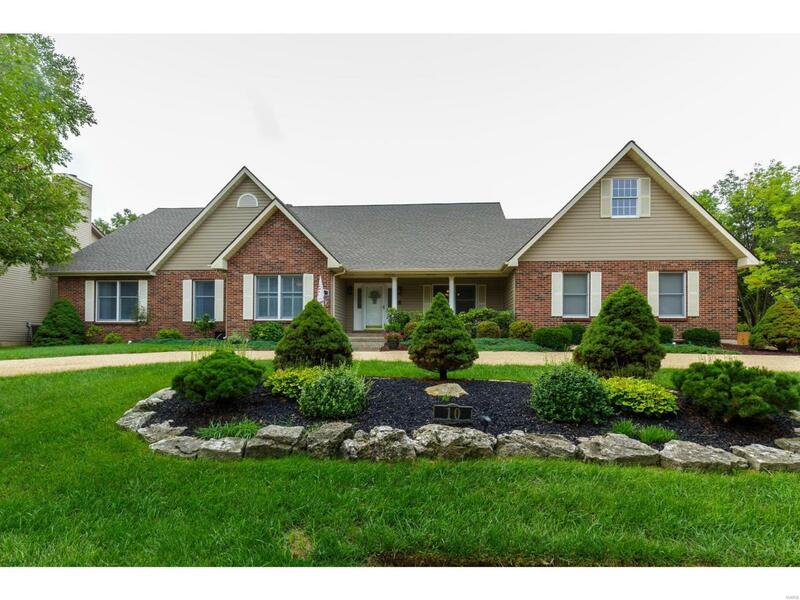 This custom built 4 bed, 4 bath ranch is absolutely stunning! Offering over 4400 sq ft of living space, situated on over acre lot and featuring an in-ground salt water pool; there are not many amenities this home does not offer. The great room features vaulted ceilings w/floor to ceiling decorative fireplace, providing the perfect focal point for entertaining family and guests. The updated kitchen features quartz counter tops, beautiful tile back splash, large center island, stainless steel appliances and amazing porcelain tile floors that run all the way into the great room. The spacious master bedroom provides a spectacular view of the pool along with a large walk in closet. The master bath has been completely updated with beautiful floor to offers a living room,kitchen, bed, and half bath. Other amenities include: sprinkler system, zoned HVAC, 3 car garage, LSL rights, main floor laundry, and four seasons room.